An array of drums, played with magnets. Drumhenge is a new musical instrument that uses cutting edge technology to re-envision how to play the drums. 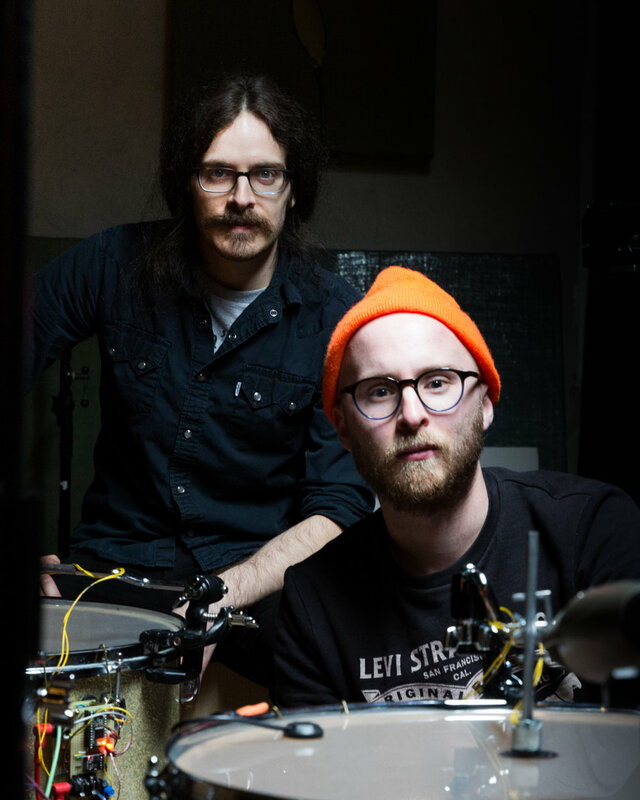 Instead of sticks, it uses electro-magnets to vibrate the drumheads, turning each drum into a monophonic synthesizer. Then, 16 of them are wirelessly networked together to create a giant polyphonic instrument. Drumhenge was developed by the ExCITe Center at Drexel University by engineer Jeff Gregorio and artist Peter English. It is part of a collaboration funded by the John S. and James L. Knight Foundation to explore music, technology, and interactivity. Warning: Serious science talk imminent. Drumhenge is a playful, musical twist on IoT or Internet of Things technology. 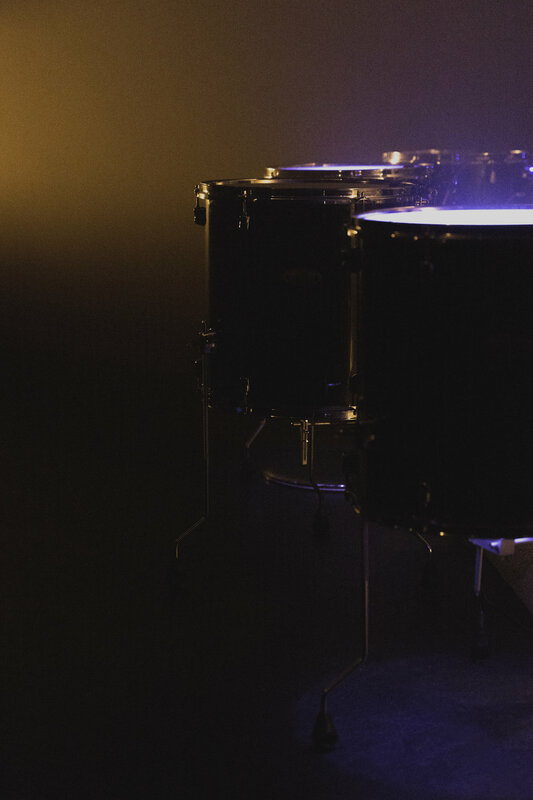 It takes two ideas: magnetically-actuated resonance, and wirelessly networked objects, and turns a traditional floor tom into something surprising and new. through it) we could control how fast the magnet—and the drumhead—would vibrate. Since speed of vibration is frequency, and frequency is pitch, this meant that if we built a simple synthesizer module, we could resonate a drumhead at whatever pitch we wanted. We could use a MIDI controller and play a drum like a monophonic synthesizer. This was cool, but how do we get polyphony? That's when we started exploring IoT technology. We could hook wires up to all the drums, but that would have been a mess. If we used wifi chips found in common IoT household products, not only would we save ourselves a mess, every drum would be able to communicate with any other drum. This network could be controlled by a central "brain" or it could be an autonomous ecosystem. How big could we go? With the help of Sweetwater Pro Audio, Pearl agreed to give us 16 identical 16" floor toms. We laser cut custom cradles and put LEDs inside each drum to add a visual element, and rigged them into a giant "henge" of drums. Drumhenge has a lot of custom technology, but we're not geniuses, we're just persistent. It's possible for you to do this too. You'll need to source some parts, and learn a few new things, but if you want to try this idea out yourselves, we've made everything available to you. For free. Drumhenge was created by Philadelphia musician, artist, and filmmaker Peter English and musician and Drexel University engineer Jeff Gregorio. Peter is an artist, musician, and filmmaker based in Philadelphia. From 2009-2014 he served as Creative Director for the non-profit Weathervane Music, directing the acclaimed documentary music series Shaking Through. 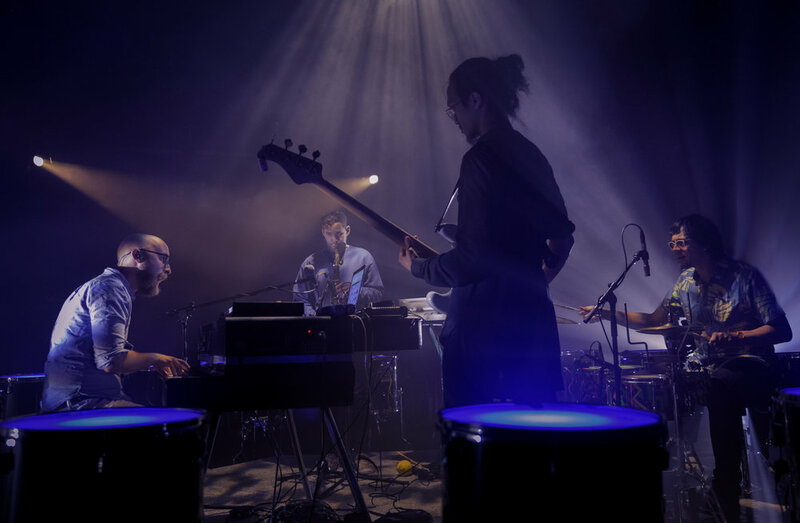 He's worked with luminaries such as Sufjan Stevens and Sharon Van Etten, along with members of The War on Drugs, Wilco, & Grizzly Bear; and had his work featured on Pitchfork, Boing Boing, NPRmusic, and The Creators Project, as well as garnering a coveted Vimeo Staff Pick. Jeff is currently pursuing a PhD in Drexel's Music and Entertainment Technology (MET) lab. His research interests include novel musical interfaces, real-time audio processing and synthesis, and machine listening. 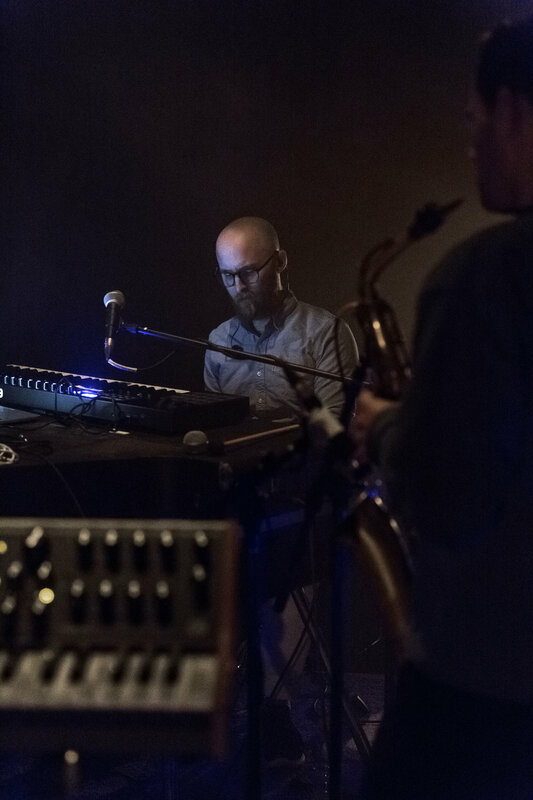 His experience as an active musician and multi-instrumentalist initially catalyzed his interest in engineering and has lent itself to the pursuit of music technology research. For their work, English & Gregorio were jointly named "Maker of the Year" at the 2017 Philadelphia Geek Awards. We've got fun things in the works, stay in touch to be the first to know. Thank you for signing up! You'll hear from us shortly.